Did you put your resume up on Linkedin and forget about it? Yet, you hope it brings you that dream job, dream client, or fame and fortune? That’s not likely to happen. Just like any social media platform, you’ve got to work it, Baby. Here are some reasons why you should revisit Linkedin and some tips on how to make it work better for you and your business. manage their own Linkedin profiles, so it’s easier to get right to someone without having to fight with a gatekeeping secretary. Do you think Linkedin is just to connect with former employers or colleagues? Think again. Focus on your niche market and reach out to prospects, clients, influencers, freelancers, media, and joint ventures. Just like any social media platform, you need to build and nurture relationships, and you can do that on Linkedin. Be genuine, and not so robot or resume like. Put some personality in your profile. There are also business pages on Linkedin, but they don’t seem to be that effective. I’d be more inclined to connect with people one on one, and build your personal brand. There are many ways to connect with folks that could help your business. Search – Using keywords, zero in on specific niche targets. Start with the search and advanced search functionality at the top. Introductions – If you are not directly connected to someone, and don’t have their email address, see if someone in your network is, and ask them to introduce you. Groups – In someone’s profile, see what groups your target person is a member of. If they have left their Group Connection Setting ‘open’, then you can connect through their profile. Groups are a great place to get to know people, and build your personal brand. Leave comments, ask questions, be complimentary, and continue to interact. InMail – paid version of Linkedin. With a paid subscription to Linkedin you can send an ‘InMail’ message to anybody, whether you are connected or not. If you don’t get a response to an InMail, it gets credited back to your account. Start looking at different ways to connect with people that can influence your business. Compliment then, send them valuable information, perhaps an event invitation, but never, ever, spam them with your own sales pitch. ‘Playing’ around on Linkedin won’t help your business. Like any marketing strategy, you need an objective, a plan, and ways to track and measure your progress. 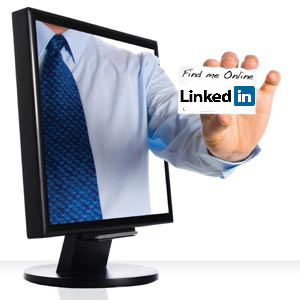 Linkedin is a great way to build your personal brand, and get introduced to some very valuable people. I suggest you take it seriously. Be courteous. Be different. Be successful. Let me know if you need help with your social marketing. You may also like: Should You Accept All Linkedin Invites?